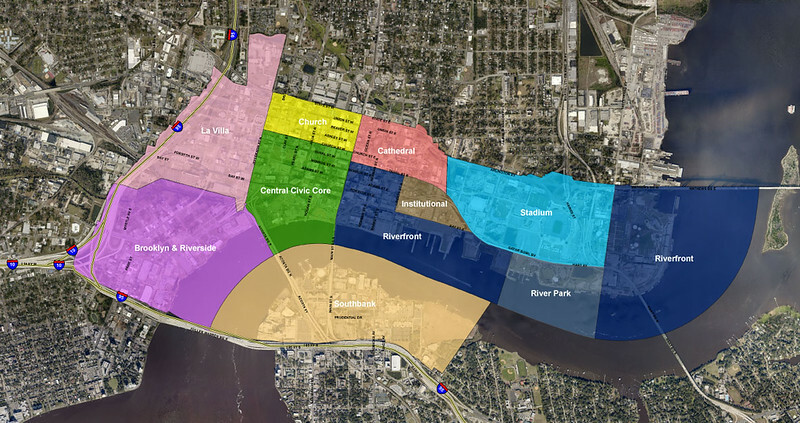 As interest in Jacksonville's historic inner neighborhoods grows, terms like Urban Core, Downtown and even Downtown Core are becoming common parts of local parlance. But what exactly do these terms refer to? Here are some helpful definitions. The Urban Core, sometimes known as the Old City, has emerged as a distinct part of town, along the lines of Westside, Northside, Southside, Arlington, and the Beaches. Definitions can vary, but the most usual one includes everything within Jacksonville’s old city limits before Consolidation in 1968. This 30-square-mile area encompasses most neighborhoods that were developed by 1932 (the last time the city limits had expanded) - everything from Riverside-Avondale and San Marco north to Panama Park, and west into the old Westside. This definition is useful because it distinguishes between two phases of Jacksonville’s development. Urban Core neighborhoods are older and followed a traditional development pattern with a gridded street network. They were designed to be comparatively dense and mixed use, with multimodal streets allowing for cars, pedestrians, bikes and transit. Development patterns changed considerably after World War II. 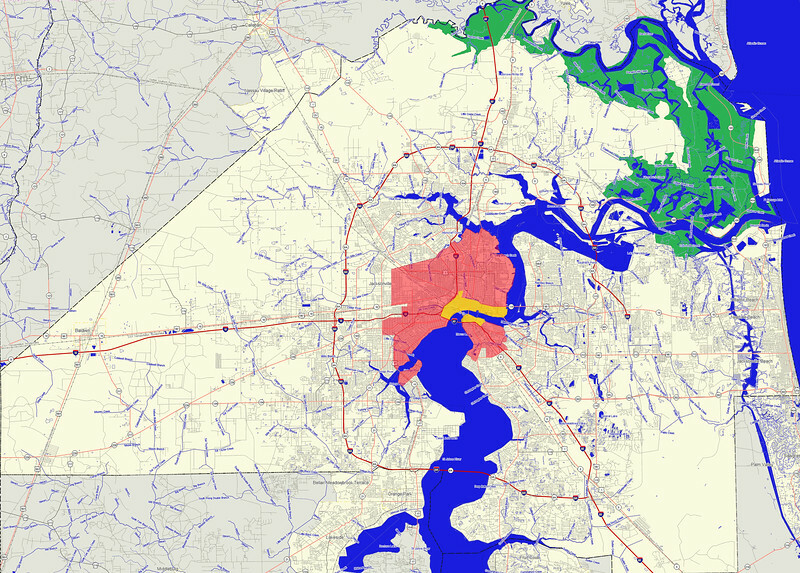 Neighborhoods developed since then - the bulk of Jacksonville - are mostly auto-centric. They have no gridded streets and are characterized by wide arterial roads, limited access subdivisions, strip malls, and office parks, which mostly must be accessed by car. The city government defines Downtown as the entire Central Business District, a relatively large area spanning four square miles. In addition to the traditional Downtown Core, this area includes LaVilla, Brooklyn, the Stadium District, and the Southbank across the river. By this definition, Downtown’s official borders are I-95 to the south and west, State Street to the north, and the St. Johns River to the east. The city government uses this definition for various zoning and planning purposes. City planning agencies have divided the broader Downtown into smaller districts, such as the Central Civic Core, the Cathedral District, and the Riverfront. When talking about revitalizing Downtown, it’s important to make a distinction between the Downtown Core and the wider Downtown CBD. The Downtown Core is the walkable heart of the city. It’s where most of the employers, government facilities, and various amenities are located. The broader Downtown CBD is so large and spread out that developments in one district may not have a major impact on the rest. Whereas attractions within easy walking distance help generate foot traffic and energy for each other, those separated by miles don’t. There are still other definitions of Downtown. The Downtown Improvement District is a 90-block area comprising the central part of the Downtown Core where most business are located, as well as part of the Southbank. The district is administered by Downtown Vision, Inc. with the intention of bolstering businesses in the district.